Beware! EZCryptoplace is an offshore broker! Your investment may be at risk. EZCryptoplace is an offshore broker, focused on the crypto market, offering CFDs on a variety of crypto coins and other assets like commodities, indices and stocks, paired against Bitcoin and USD Tether. Among the crypto coins in the EZCryptoplace trading portfolio we came across all major coins like Cardano, Bitcoin, Bitcoin Gold, Dash, EOS, Ethereum Classic, Ethereum, IOTA, Litecoin, NEO, QTUM, Tron, Stellar, Monero, Ripple and Zcash. EZCryptoplace is owned and operated by Bitcom Limited, a company based in St. Vincent and the Grenadines. Unfortunately neither the company nor the broker itself are regulated by official authorities such as the Financial Conduct Authority (FCA) in the UK, the Australian Securities and Investments Commission (ASIC) or the Cyprus Securities and Exchange Commission (CySEC). That makes EZCryptoplace operations on regulated markets like the European Union, the UK, the US and Australia completely illegal. Have in mind that as a rule of thumb you can trust only brokers, regulated and licensed by official authorities such as FCA, ASIC or CySEC. Regulated brokers have to follow a series of strict rules, among which to maintain a certain minimum capital adequacy ratio, to keep all clients funds in a segregated account, to provide traders with a negative balance protection, to file regular reports, to allow external audits and in certain cases even to insure traders money. For example all EU regulators such as CySEC require brokers to participate in client compensation schemes, effectively insuring up to 20 000 EUR of the trading capital. A similar compensation fund with all FCA brokers guarantees up to 50 000 GBP of the invested funds. 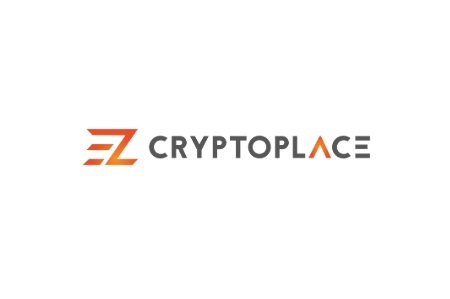 EZCryptoplace accepts payments in various ways, including major cards like VISA, MasterCard and Discover, numerous e-wallets including Neteller and Skrill, CashU, QIWI, AstroPay, Sofort, WebMoney, PaySafe, Moneta, GiroPay and iDeal, as well as bank wire. The minimum deposit requirement is 500 USD – about twice as high as the minimum investment required by most brokers. And besides, be aware of all trading bonuses EZCryptoplace might offer you, because if you accept a bonus your right to withdraw will be restricted with a certain minimum trade volume requirement. In the general case you will have to trade at least 25 times the bonus plus your deposit before you will be allowed to request a withdraw. Have in mind that scammers waste no time and resources to get to your money. Often they employ call centers and the so called “robo- scam” websites like Crypto Revolt and Bitcoin Evolution, which are especially designed to hook up gullible investors. 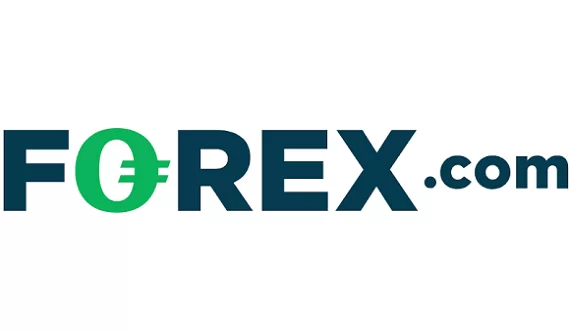 If you happen to come across such a website, probably you will watch a video with a fantastic offer for fast and easy money – “totally risk free”, in exchange of a modest investment. But basically, all you will be asked for in the beginning is to leave your e-mail and phone, filling a simple registration form. And if you do that you will be promptly transferred to the web page of a unregulated, offshore, scam broker, where you will have to deposit about 250 USD. Besides, if you make this deposit the people running the robo – scam website will get their commission, and you will be awarded a brand new “trading account” with the scammers. And your first trades will be spectacularly successful, doubling the money in your account in just a few days. That, however, will not be real – your account will simply be manipulated, because this way you will be predisposed to invest a larger amount. And you will be asked exactly this. You will receive a call form your “senior account manager”, who will expertly advise you, that if you want to make some real money, you will simply have to invest more – like at least 10 000 USD. And besides, you may not realize you have been scammed until the very moment you decide to withdraw some of your funds. 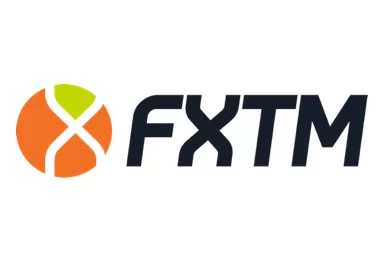 Than, all of a sudden it will turn out this is not possible, as your right to withdraw will depend on some minimum trade volume requirement, linked to a trading bonus you have so carelessly accepted. Certainly it could be something else, but the result will be the same – scammers will refuse to pay you even a single penny back. The only chance you stand to get some of your money back is to file for a charge back with your credit card company. Fortunately both VISA and MasterCard extended the period in which you are allowed to do that to 540 days. And if by any chance you have given away your credit card number and online banking password, immediately change the password and block your credit card. Finally, do not trust the so called recovery agencies. They will not retrieve your money, but will simply collect an upfront payment and will leave you even more miserable. And besides, some of those entities actually work with the scammers, who for example will share your contact details, so that you can be squeezed with yet another 1000 USD. I tried to open an account with KontoFX on the 8th January 2019, filled in all the pages that came up and at the point of entering the amount of £250 something odd happened and I could not complete the form but submitted it none the less. The following morning had a phone call from a broker called Helen Stein. To cut a long story short I was scammed by EZCryptoplace but I didn’t realise that was the case until later. EZC had somehow obtained all of my details via KontoFX, but how??? It had to be via KontoFX as I didn’t fill in anything with EZC. This is frightening to say the least that this kind of things are allowed to happen in this country or anywhere else. Then to top it all Anthony Shaw from KontoFX called and spoke to me and when I told him that I have already been contacted by KontoFX he was somewhat surprised. When I told him the name of the broker his answer was….you have been scammed as we do not have anyone working here called Helen Stein. I feel powerless and very stupid, lost considerable amount of money, and I am devastated that I had actually fallen for this scam. Hi Paula, I too had a similar experience but 2 weeks before, and with a different supervisor. I was scammed out of 13000+. He called me every day how telling me how well I was doing with my investment, and this time next week all my financial worries would be distant memories. This was the lump sum of my pension that I handed over to these ruthless people. I am devastated so gullible and trust anybody to the point that I don’t want to be part of this cruel place we called our world. You are not alone..I have had a very similar experience with Helen Stein. Caught at just the moment when I really needed some extra cash..now I have less than before. Kept asking me to send more and more verification..I have since put a stop on that card. Eventually after 10 days was verified but now won’t allow me to withdraw my money. Very very expensive lesson..if it’s seems too good to be true..it’s probably a scam. Hi All, I too have been scammed for 13000+GBP….its a lot of money my lump sum for my retirement fund. I am at a loss what to do! struggle through life, or try and go back to work?. These people are very scrupulous with no morals or conscience. They reeled me in like a fish until there was nothing else but to end it all. Hi John and Liz…..I was pleasantly surprised that someone else had written about EZC. I have reported the company/Helen Stein to the Police Fraud Squad and my bank’s Fraud Squad but very little seems to to be done. It is a definite scam but how to stop them doing the same to others is my aim now. Both EZC and KontoFX are not regulated and operating illegally in this country. They have no address in UK either! As for the phones they use Call Centres and if you want to call them that is not possible. I have spent reading for the past 3 weeks and writing reviews anywhere I can, trying to bring this scammers to someone’s attention. The company Bitcom Limited and its brand CoinBrokerz have been blacklisted by the UK’s Financial Conduct Authority (FCA), and considering the number of user complaints, this broker has scammed a lot of investors out of their money. That being said, most likely the situation is more likely the same with the other brand of the company, EZCryptoplace. I am glad to note that EZCryptoplace=CoinbrokerZ=Bitcom.Ltd is no longer accessible on internet and are of the radar for the time being. I am keeping an eye and will report if I see anything that doesn’t look right. Penny and all the others, I would advise you to write reviews everywhere you possibly can so that other people are made aware of what is going on….and it might trigger something to help our position, who knows. Helen Stein is definitely of the radar for now! I am scammed by EZCRYPTOPLACE more than $10.0000 .I really don’t know how to get my money back. Can anyone give me an advice how to get my funds back. For your information Ezcryptoplace.com are not operating any more. Their website is closed down and their emails do not exist any more. If any one of you is thinking of engaging someone that claims they can get your funds back please do not fall into that trap as you will be scammed further. Report your scam to the fraud squad, police and your bank. I don’t think we will ever see the money we thought we invested back. I know everything about this company, all “brokers”, their real names and surnames, where is their new office currently situated, I also know that COINBROKERZ=EZCRYPTOPLACE, I know about all mechanisms of scum, I know how their new scum platform calls, I know everything. If you want to back your money and f*c* this trash – contact me. I’m currently working here, but I want to start a war against them. Let’s do this together. Vincent are you trying to start another scam????? If you say you know everything why don’t you work with the Fraud Squad and FCA [UK]? You can help others via that route that is if you are for real.